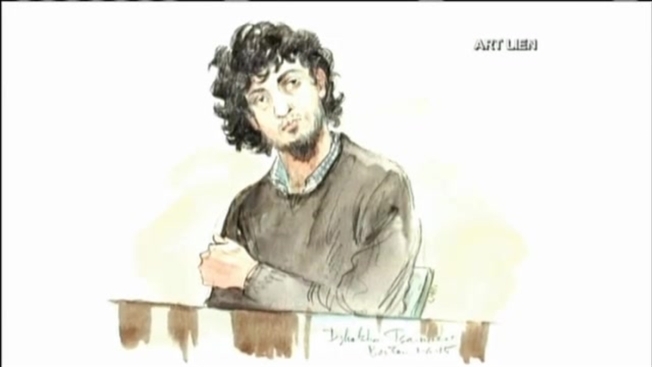 Tsarnaev Jury Chosen; Opening Statements Wed. There was palpable relief Tuesday for dozens of jurors excused from serving on the Boston Marathon bombing trial. "Because I can go back and do my job and not worry about my job," dismissed juror Nancy Cederholm said. "Personally I'm relieved because I don't have to be here for the next four months," said Hazel Grenham, another dismissed juror. Twelve jurors and six alternates were seated after two months of jury selection; among them are are eight men and 10 women. It's a jury that will not only decide whether accused bomber Dzhokhar Tsarnaev is guilty, since if he's convicted, they will have to vote on whether he should be put to death. "I wouldn't want to pass judgment on somebody else, so I'm glad I didn't have to do that," dismissed juror Jim Frias said. During initial questioning, three jurors seated said they believed 21-year-old Tsarnaev was guilty, while a fourth juror said "obviously he was involved in something" and a fifth juror said "my impression was he was certainly present that day, was part and parcel of it." However, all have said they will keep an open mind. Two jurors said they lean toward the death penalty, while two said they lean toward a life sentence, but all said they are open to either sentence. Jurors who were excused weighed in on whether they thought Tsarnaev would be able to get a fair trial here in Boston. "I don't know that a fair trial could have been held anywhere, perhaps the fairest trial would be here," Grenham said. Opening statements are scheduled to start Wednesday at 9 a.m.
Tsarnaev has pleaded not guilty to all 30 charges against him. He's accused of planting two bombs near the finish line in April 2013, killing three people and injuring more than 260. He's also charged in the killing of MIT police officer Sean Collier days after the attack.